Poverty, Inc. is now available on Amazon, Amazon On-Demand, and iTunes. The has been screened in over 40 festivals, 100 universities, and 160 cities. My friend Michael Miller of Acton Institute sent me a note about the release of the DVD and on-demand Poverty, Inc. We were given a preview during Acton University last summer. It is truly an amazing film. It won Templeton’s 2015 Freedom Award. Great news! 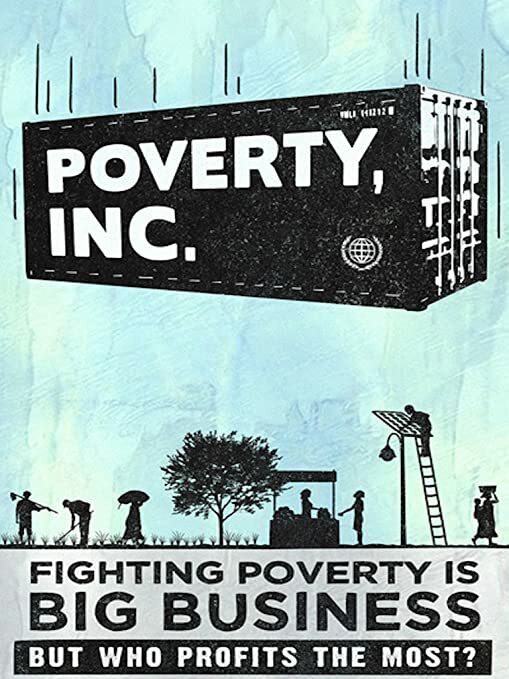 Poverty, Inc. will be released on DVD and video-on-demand on March 1st. You can pre-order today on iTunes, Amazon DVD, and Amazon On-Demand. Pre-orders and reviews factor into the exposure the film receives on these platforms (right now Poverty, Inc. is #7 on iTunes “Best Sellers” for March 1st). Help us get to #1! As a special thank you, we’re sending movie posters to the first 100 people who pre-order and write a review (positive or negative, but we hope positive…) a limited edition Poverty, Inc. movie poster. Just email us your review and receipt along with your mailing address. Finally we’d love it if you could help share the March 1st release of Poverty, Inc. on social media and by forwarding this email to your friends. I have actually thought to get a screening of Poverty, Inc. for a wider audience. This entry was posted in ACTION ITEM! and tagged Acton Institute, Poverty Cure, Poverty Inc. Bookmark the permalink. Wow, this looks really interesting. Hopefully I’ll get a chance to see it when it comes out. You know, it’s funny, but when I think about it, it seems like there can be an interesting parallel drawn in modern world, about how there is a misunderstanding both of material mercy, and of spiritual mercy. I think we are seeing the same problem being played out in two different ways. There is a false idea that if we give someone what they seem to want, and it makes them feel good, and it makes us feel good by doing it, then it must be what they need. In this case, this is shown by people who end up messing up the economy of poor countries. In the spiritual life, we see this happen when our spiritual pastors refuse to call people out for their sinful lives, and bring them to repentance. In both cases, it’s a result of people simply taking the easier “feel-good” path, instead of really taking time to do the harder, and more merciful thing. “”10 For even when we were with you, we gave you this rule: ‘If a man will not work, he shall not eat. '” “11 We hear that some among you are idle. They are not busy; they are busybodies. I have observed some who are not able bodied, but are able minded & are busy using computers or other communication skill devices…some gainfully employed…others not. Also know of several ‘downs’ who are gainfully employed. I do not know if they are financially able to support themselves. Some people think that work is God’s punishment or that it’s man’s quest to eliminate work from his daily life. But actually God made man to work from the very beginning. . . BEFORE the Fall! Working is part of God’s will for man. That would be ACTON Institute – just thought I would beat Dr. Peters to it! But, to be fair, the problems people have with work do concern the pains, difficulties and insecurities and not the cultivating-the-garden itself. Fr. Sirico: Your book “Defending the Free Market: the Moral Case for a Free Economy” is excellent. Years ago I read Rodney Stark’s “Victory of Reason”, which you reference, and found your book as essential, if not more, than Stark’s. While we’re at it, “China’s Second Continent” by Howard French makes a reasonably good case that China’s business ambitions in Africa are often imperialistic and not merely commercial. While more reportage than analysis, it’s an interesting read nonetheless, and an indicator of further tensions ahead for China in Africa. And if I may join in: Acton Institute! It reminds me of a UN complaint of some Chinese children that were employed by teacher after school, sewing. He said, “What? They come from poor families. I was giving them a way to earn money, and they were helping me out.” It has become a crime, in our society to work, if you are under a certain age, but if you are going to be a man, you need to work, now, to train for adulthood. And that teacher was actually empowering his students to help their families and to help themselves. He was doing a good thing! I ordered the dvd. New ETA is 31 March vice 1 March. I watched the documentary and it is quite eye opening. Very well made and something all should watch. This Poverty looks very interesting and encouraging. Not only can over-indulgent giving ruin a person’s will to work, but current history demonstrates that it is the head of the snake in controlling others, and earning trust in order to give those a ‘snake’ when requesting bread [think CRS, USAID and others promoting contraception and atheism, or the Church accepting Federal subsidies and thus fearing their loss if they preach the truth or don’t cooperate]. And yea, “giving” has turned into greedy money-making businesses by the avaricious. I guess you could say it takes moral courage to reject dependency and laziness. Ooof. its hard! The other side of the story is forcing oneself to let go of doing everything yourself and help others grow this way. Don’t forget the great St. John Bosco who rescued orphans and trained them in all kinds of manual vocations, thus the worldwide Salesian missions and orphanages. He knew about the relationship of keeping kids busy both in mind and body to overcome all sorts of sins, tragedies, and burdens. St. John also understood the importance of early training of good habits and work ethic. This effect lasts a lifetime. Isn’t idleness is one of our most prevalent sins today – Not only sitting around doing nothing, but being frantically busy as a distraction from doing what you are supposed to. Not only should we not enable this kind of spirit-sucking dependency, we must fight it in ourselves!